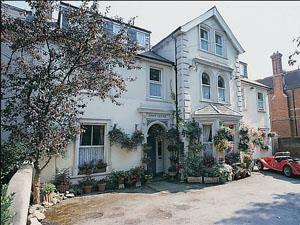 Canterbury Lodge01227 768 767work01227 768172fax Guest HouseCanterbury Lodge is a Victorian town house, situated close to the city centre, University and Cathedral, just a pleasant 10 minute walk. All rooms are fully equipped for the modern traveller, with flat screen digital TVs, hairdryers, and beverage trays. Wifi is also available free of charge. All rooms have en-suite bathrooms and some have four poster beds and king size beds. A full traditional English breakfast is freshly cooked and served to order in our bright airy dining room. Cereals, yoghurts and a light breakfast is also available. Special diets, vegetarian and early breakfasts are available on request. Good location, lovely room, great breakfast.